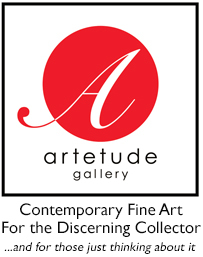 Artetude has just received the much anticipated works from our newest artist addition, Pat Zalisko. Her acrylic and mixed media abstracts will be hung in the gallery today! Stop by 89 Patton Avenue on this lovely day and view our newest installation. In coordination with the addition of Zalisko to the gallery, we are excited to announce that she is mentioned in an article in The Citizen TImes this month. Read the full article here.